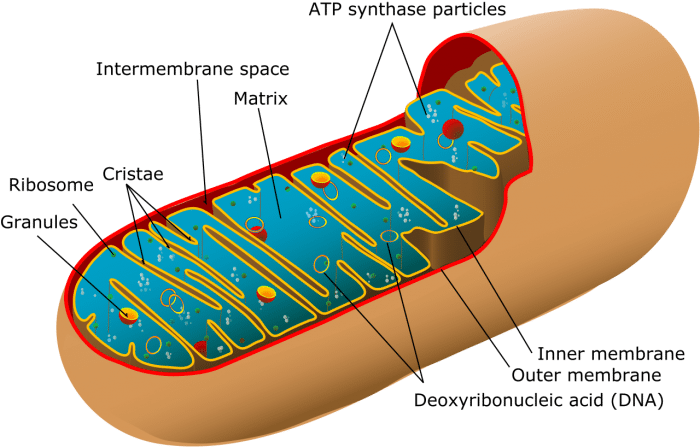 The function of the mitochondria in both plant and animal cells is to produce energy for the cell via ATP production as part of the Krebs cycle. Mitochondria (mitochondrion singular) are membrane-bound organelles found in the cells of most eukaryotic organisms. Named after the Greek words for thread and granule, mitochondria are sometimes referred to as the powerhouse of the cell, as they produce most of the energy within a cell. Mitochondria facilitate the production of ATP, the main source of chemical energy in living organisms. Mitochondria are also set apart from other organelles as they have their own unique genome, different from the genetic code stored in the nucleus. 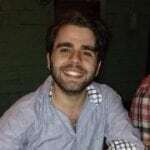 Mitochondria were first discovered by cellular researchers in the 1840s, though it wasn’t until 1890 when Richard Altmann identified them as a separate organelle. The next few decades saw more research to identify the link between mitochondria and cellular respiration, until the 1940s, when Eugene Kennedy and Albert Lehninger demonstrated that the mitochondria are the seat of oxidative phosphorylation, the process that creates ATP. Further investigations have determined the fine-grained molecular structure of the mitochondria and the fact that mitochondria contain ribosomes needed for protein synthesis. 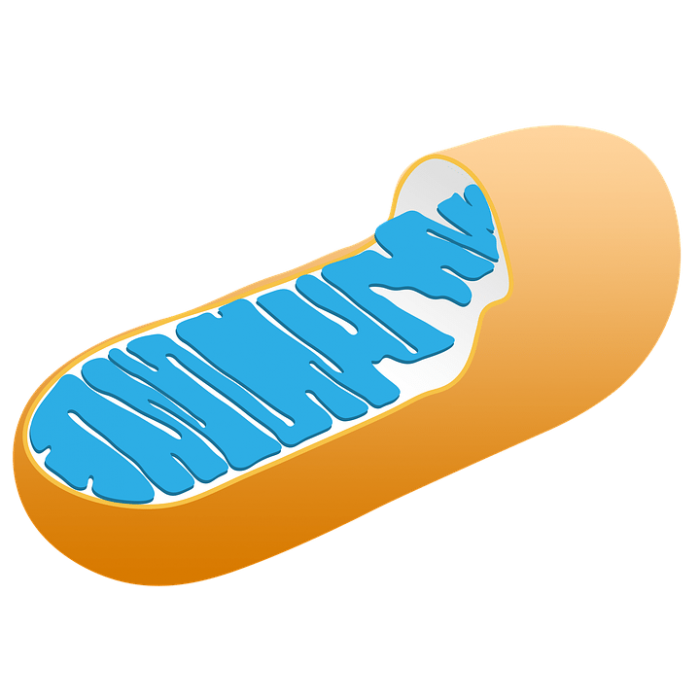 Mitochondria consist of two phospholipid bilayers; an inner and an outer membrane. The presence of these layers divides the mitochondrion into 5 distinct compartments: the outer membrane, the intermembrane space, the inner membrane, the cristae area, and the matrix space. Each of these areas plays a different functional role. The outer membrane is responsible for mediating the diffusion of molecules into the mitochondrion. Diffusion sites called porins line the outer membrane and allow smaller molecules (~<5000 atomic units) to diffuse freely across the membrane, while larger molecules must bond with certain protein receptors to be shuttled across. The outer membrane serves as the first line of protection from potentially harmful pathogens. The outer membrane also contains several enzymes that play a number of roles, including the oxidization and decomposition of certain chemicals. The function of the intermembrane space is primarily to store the different materials that diffuse across the outer membrane. Materials that are stored in this space are later utilized for the chemical reactions that take place in the mitochondria. The next section is the inner mitochondrial membrane. The inner membrane is extensively folded and compartmentalized. Unlike the outer membrane, it relatively impermeable, as the phospholipids that form the inner membrane have 4 kinds of fatty acids rather than 2. The inner membrane serves to both form the numerous cristae compartments and to isolate the interior of the mitochondrion from the rest of the cell. Additionally, the inner membrane contains the proteins responsible for ATP synthesis. The term cristae refers to the numerous folded compartments formed by the inner membrane. The cristae function to increase the surface area of the inner membrane as the more surface area, the more ATP the mitochondria can produce. Just like how the brain has several folds in the cortex to increase the surface area used for cognitive functions, the cristae folds serve to increase the surface area used for ATP production. Lastly, is the matrix space. The matrix space refers to the space enclosed by the inner membrane. The enzymes in the matrix space are responsible for the oxidization of pyruvate and fatty acids, and play a role in the Krebs cycles; the 2 main processes that produce ATP. The matrix space also contains the mitochondrion’s unique genetic code and the machinery to create its own RNA. Mitochondria are found in most cells of almost all eukaryotic organisms. In fact, there is only one known eukaryote that lacks mitochondria entirely, the Monocercomonoides, a species of protozoa found in the intestines of wood-eating insects. 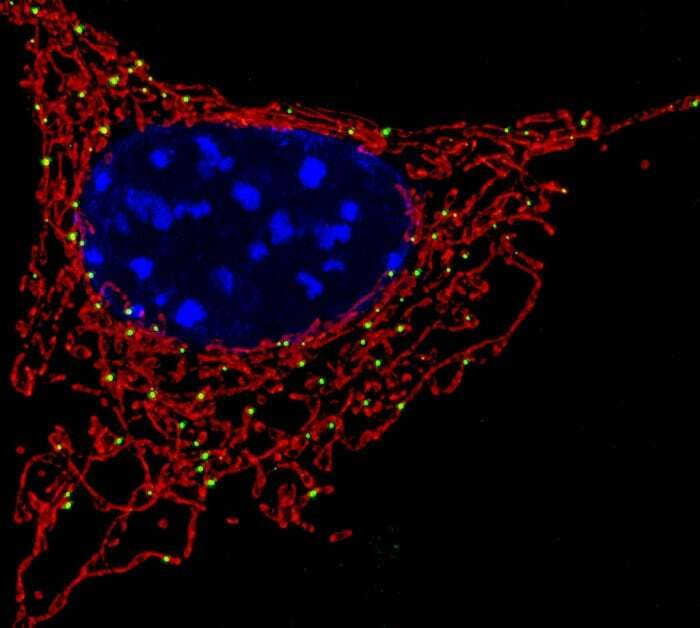 Depending on the kind of cell, mitochondria abundance can differ. For example, some unicellular organisms have only one mitochondrion while human muscles contain approximately 1000-2000 mitochondria per cell. Although they are commonly depicted as small bean-shaped organelles, in actuality mitochondria can be all kinds of shapes. An image of mitochondria surrounding a cell nucleus. Mitochondria often aggregate around the cell’s cytoskeleton and form complex 3-D networks of organelles. Source: NICHD via Flickr. The central role that the mitochondria play in the body is the production of cellular energy in the form of ATP. Mitochondria drive the citric acid cycle (Krebs cycle) by oxidizing the products of glycolysis; pyruvate and NADH. Pyruvate and NADH produced by glycolysis are actively transported across the membrane of the mitochondria. Once there, the energy yielded by the oxidization of the products is used to attach a phosphate group to ADP (the de-phosphorylated version of ATP) and the finished product of ATP is sent out of the organelle via a special carrier protein. ADP is then reintroduced to the mitochondria via porins on the outer membrane and the process begins anew. If ATP is viewed as the batteries of an organism, then the mitochondria are the generators that recharge the batteries when they run dry. 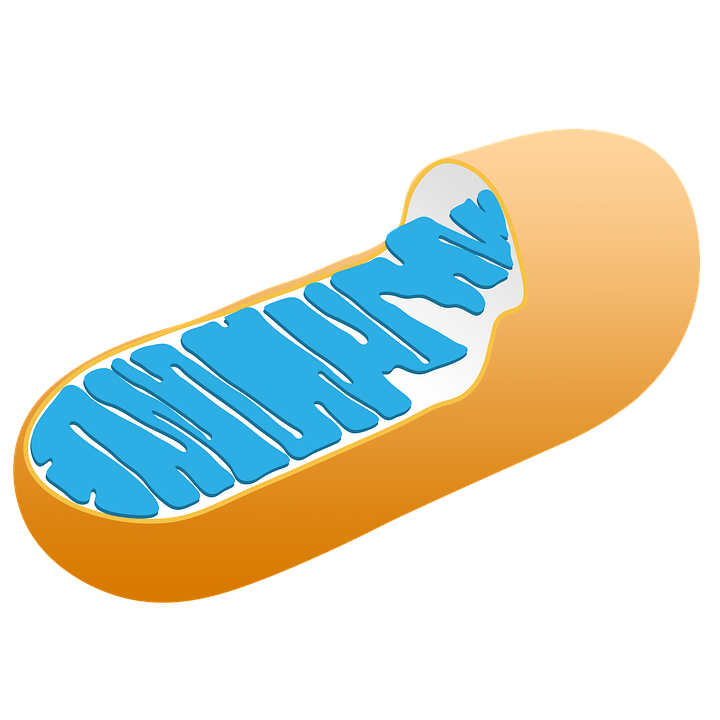 Mitochondria are a unique organelle in that they contain their own genetic code that is different than the one stored in the cell’s nucleus. The presence of a separate genetic code suggests that mitochondria first originated as separate cellular organisms that were eventually incorporated into the body of a larger prokaryotic cell, a process known as endosymbiosis. Mitochondria in some cells even use a different sequence of bases, as opposed to the A, C, T, and G bases found in human nuclear DNA. Interestingly, the genetic code of mitochondria is not created in the same way as the genes in the nucleus. Nuclear DNA is created by taking two pairs of chromosomes from each parent. Mitochondrial DNA, in contrast, is normally only given from one parent. In the case of human beings, the mitochondrial DNA almost always is passed down from the mother, a process known as maternal inheritance. Because they are inherited from one parent, mitochondrial DNA rarely goes through recombination when replicating. The lack of recombination, the process that creates genetic diversity, means that mitochondria tend to have genetic codes that are extremely stable over history. Geneticists can then use these stable genetic codes to study the evolutionary history of human populations. Because mitochondrial DNA does not mix or change, a sequence of mitochondrial DNA is an indicator of a person’s lineage through their mother’s side. In fact, through mitochondrial DNA analysis, scientists have determined that the matrilineal most recent common ancestor of all living human beings ( dubbed “Mitochondrial Eve” in reference to the biblical figure) lived approximately 150,000 years ago. So in summation, mitochondria are important as they are responsible for the production of chemical energy in the form of ATP. ATP drives almost every physiological process in the body so the presence of mitochondria is necessary for the proper functioning of the body. Without the highly specialized structure of these little cellular generators, cells would not be able to produce enough chemical energy to drive their processes. In addition to producing ATP, mitochondria have unique genetic properties which makes them ideal for determining the evolutionary history of populations of organisms. Previous Post« Previous What Are The End Products Of Glycolysis?